With 74% market share in November 2017 (Source), Google represents the most used online tool for conducting searches. For a significant portion of online users, it’s the first place they turn to when they have a question, a dilemma, or a problem they want to solve. 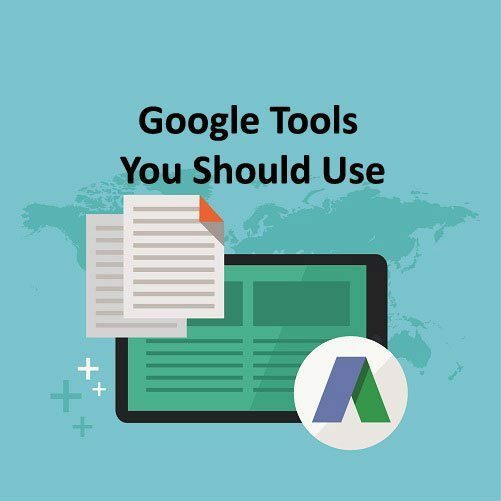 While this search tool might be the most famous product of Google, the company offers a variety of different tools that can be helpful primarily to webmasters, marketers, and bloggers. Anyone interested in boosting a website (or blog) performance can take advantage of these tools. As soon as your website is live, you should integrate Google Analytics to monitor website statistics and reports. The tool provides a set of data related to your audience (user behavior, demographics, users flow, etc. ), acquisition (traffic data, campaigns, etc. ), behavior (site content, speed, and search), and conversions (goal setup and tracking, attribution, e-commerce, etc.). Together, these data provide insights about how your content performs, how users are interacting with that content and how successful you are in achieving your goals. This can help a lot with evaluating the website and content performance. Tip: Check out the option “Site content” in the menu “Behavior”. It will show both landing pages and exit pages. Landing pages section indicates the entry pages showing you which pages the users see first when they get to your site. If you notice high bounce rate, explore the exit pages to understand why the users are leaving. Maybe there is something about that pages or one page in particular, that is causing high abandonment rate. If you want to learn how to create custom goals, detect spam in your insights, explore site search, and segment your audience, check out this article about Google Analytics reporting. Structured Data Testing Tool – Check how the website data is displayed in the search results. Structured Data Markup Helper – Instructions on how to add structured data markup to HTML. Email Markup Tester – Use it to check the structured data contents of an HTML email. Tip: To maximize the use of Google Search Console and the scope of data obtained through this tool, link it to the Google Analytics account. This way, Search Console will start featuring Analytics data in the sections “Links to your site” and “Sitelinks”. The connection works both ways, so you’ll get a glimpse of Search Console data in your Analytics account as well. This tool is essential if you want to publish advertising search engine campaigns. You’ll use it to create and manage campaigns, monitor the data, and optimize targeting settings to make sure the right audience sees your ads. To view the real-time data, which is very important for both scheduling the ads and exploring the campaign performance data, make sure you set up your time zone in the account settings. Ad Preview and Diagnosis – This option shows a preview of the search page when the specific term is searched. It helps you check if your ad will appear for the search term you’re interested in. Tip: To get the full picture of the customer behavior, and track their path from the moment they click on the ad until the actual conversion happens, link Google AdWords and Google Analytics account. This connection will enable the AdWords account to show more in-depth performance report and get enhanced re-marketing capabilities. When it comes to Analytics account, it will expand the scope of data offered in the “Acquisition” menu and help you compare paid content performance to the organic traffic. If you’re not sure whether your display campaign performance is on track, use this tool to get details about industry standards. The tool compares ad campaign performances showing you the essential engagement metrics compared to the rest of the industry. The data can help you plan your future campaigns with more success. Tip: For local campaigns, use the drop-down menu “Countries”, to find your country (if it’s available) and explore the data. Other filters that will help you refine your search include verticals, sizes, and formats. By now, you already know that how well your website performs on mobile devices has a significant influence on traffic, engagement, and eventually sales. You might be losing a considerable number of visitors due to a slow loading time. Use this tool to analyze the loading time of your website and get suggestions on how to improve it if it needs improvement. The tool analyzes your website, checks the access through the 3G network, analyses different website sections, and it also compares site performance to industry standards. Tip: Once the test is complete, check out the top fixes to find out how you can improve loading time, or download the free report with your website performance details. Exploring current search trends is very helpful for learning about the online users, getting content ideas and in general, keeping up with the events that take place in your country or on the global level. Use Google Trends to explore events by category and country. Different categories are available including business, entertainment, health, sci/tech, sports and top stories. Tip: Instead of manually browsing trends, you can subscribe to receive email notifications related to the search term of your interest. You’ll find these options in the top menu, under “Subscriptions”. There’s a possibility to choose between weekly or monthly notifications. Marketers need data, studies, analysis, and reliable resources. They need to explore the new trends and implement the latest innovations in their work. That is the reason why Think with Google is on this list. It’s a place to find lots of success stories, articles about marketing, digital campaigns, running an online business, e-commerce news, etc. The site is available in several languages. Different languages also feature custom content relevant for the particular region. Tip: Exploring consumer insights might be the perfect way for you to improve your online business. Check the top menu of the homepage to discover the link to this insights section that features consumer trends and behavior, as well as other ideas to help you grab the attention of the consumers and reconsider your strategy. For local businesses, this tool is an essential asset to have. It helps you get your business on Google Search and Maps. This enables you to attract people exploring the area without much effort involved in the website positioning. Google My Business even offers a possibility to create a website instantly, using the information available in your listing. Since website running and management can become costly and too complicated for small business owners who are targeting local audience exclusively, this sort of online promotion is an ideal substitute. With this tool, you create a business listing, with your address, open-hours, photos, reviews, and your website. Tip: To find out more about how your customers find you, use the section “Insights” from the account. The main detail you’ll notice here is whether the online users find you through direct search (which means they already know about your business) or through discovery searches. Google Keep offers a simple interface to take notes, manage ideas, and collaborate with your team. It’s a great tool for organizing joint projects because multiple collaborators can participate and share ideas inside a single file. The tool also offers a possibility to add images to the notes, to use labels to sort through the notes, to create to-do lists, etc. Tip: Each note can be turned into a reminder, using a “Remind me” option. A directory with hundreds of fonts represents a great resource you can explore if you want new fonts. All you need is to click on the font you’re interested in, and you’ll get the option to download it or embed the code to the webpage. Tip: Use the options on the right to categorize fonts based on style, width, popularity, etc. The options will help you narrow down your search and find the font you need faster. If you need help keeping everything organized, you’ll benefit a lot from this Google tool. It’s an online calendar that allows you to add events and reminders, send notifications, invite guests, etc. There is a possibility to share calendars with others. This makes it quite a handy tool to organize your team’s working hours. Tip: An interesting feature available in the calendar is the possibility to use the option “Find a time” for your event. Once you set up an event, and have calendars of your team members shared with you, use this option to quickly compare the availability time and find the best time to schedule your event. If you want to explore Google Calendar even more and the features it offers, here’s a helpful article: 8 New Google Calendar Features You Should Start Using Now. Google Drive provides an online storage to help you organize your workflow in the cloud. There are two main benefits from this. Firstly, you’ll have your files with you at any moment, wherever you are. All you’ll need to do is to sign in to your Google account, and the files are there. Secondly, this kind of online platform enables easy file sharing. If you manage an online team, this feature is convenient. You can choose who gets access to which files, you can set different types of permissions, etc. Preset file types include docs, sheets, slides, forms, etc. With your basic (free) account, you get 15 GB of storage space. This amount can be upgraded with one of the two paid plans with 100GB or 1TB of online storage spaces. Tip: Google drive enables you to access and use files while offline. To activate this feature, you’ll need to install and enable Google Docs offline Chrome extension. Another helpful feature is the possibility to backup and sync files with Google Drive which is available for your computer as an app. 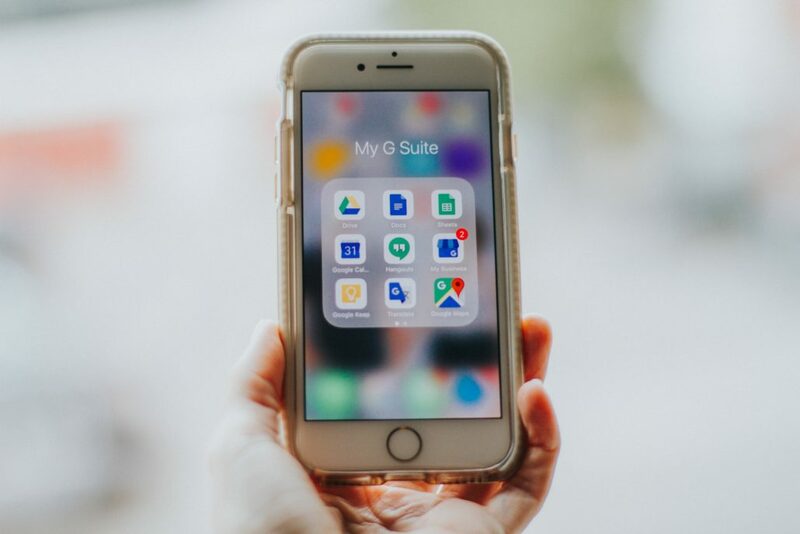 Once you download and install the app, you’ll use the Backup and Sync settings to choose the files you want to sync with Google Drive. If you want to monitor the new content related to a specific topic, you can use this tool. It helps you learn about the new content and keep an eye on your brand mentions. It even enables you to check out what your competitors are up to. All of these notifications are delivered to your email at an interval you select from the options. Tip: Check out the Alert preview to see how the notifications related to such topic would look like. Analyze your web pages with PageSpeed Insights to understand how well your pages are optimized and whether you need to improve them to provide a better user experience. Besides the possible issues present on your website, your analysis will also feature suggestions on how to fix them. Tip: PageSpeed Insights evaluates the performance of the web page based on specific rules. It does not take into account factors such as a type of device used to access the site, network, etc. Instead, the main factors that influence the score are the performance best practices. Learn more about those from this resource: PageSpeed Insights Rules. Which of these tools do you use? What’s the one feature of your favorite Google tool you’d highlight as essential in your work?